Presidential elections in the United States are, and always have been, major events in American and world history. They are watched by millions of people not only in the US but all over the world. A circumstance that is often not noticed by less informed viewers is that the most famous part of the elections, namely the presidential inauguration, is preceded by weeks, months and even years of presidential campaigning, where candidates raise and spend vast amounts of money in order to convince the American citizens to give them their vote. These campaigns have commonly consisted of journeys throughout the entire country, rallies, conventions and speeches but lately, another medium has been taking a great role in the competition: Social Media. 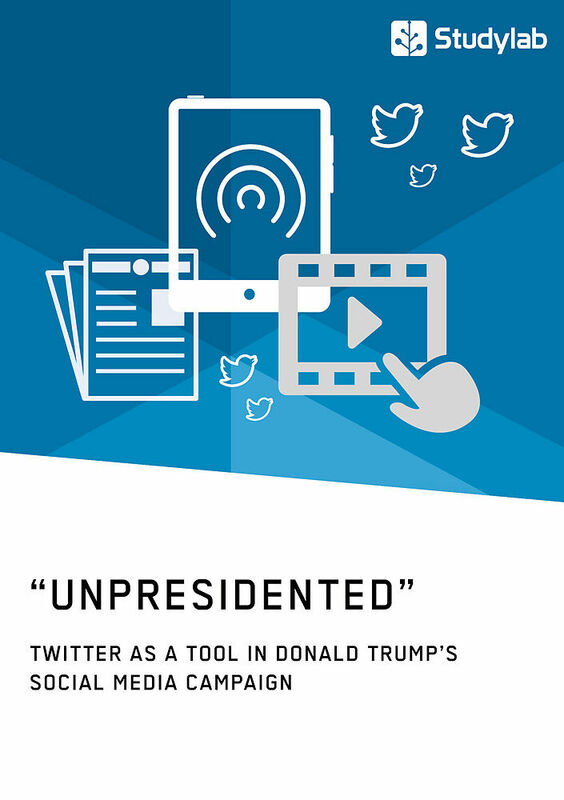 Especially during the 2016 election cycle Twitter became a campaign tool that never has been used during political campaigns to this extent before. Donald Trump in particular has made use of Twitter to such a great extent that it sometimes even seemed like his official speaking tube. The introductory chapters of this work are dedicated to Obama's social media pio-neer work during his 2008 election cycle. Then the Twitter phenomenon Trump will be analyzed based on an analysis of recurring patterns in a selection of his tweets. His controversial behavior online as well as offline will be set out as well. 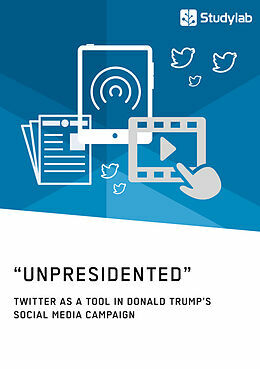 From the contents: Trump; Campaign; Twitter; Social Media; Politics; Presidential Elections; USA Dem Überblick über politische Wahlkampfstrategien vor und seit der Instrumentalisierung der neuen Medien ist eine konzise und zielführende Einführung in das US-amerikanische Wahlsystem vorangestellt. Zudem werden grundlegende Begrifflichkeiten der neuen Medien unter Bezug auf einschlägige Quellen angemessen erläutert. Die Wende hin zu den neuen Medien im Präsidentschaftswahlkampf seit Obama wird sehr gut zusammengefasst und mit Fragen der Wahlbeteiligung bzw. zur vermeintlichen Politikverdrossenheit in Verbindung gebracht. Im zweiten Kapitel wird Donald Trump als "Twitter-Phänomen" diskutiert und aufgezeigt, welche Rolle sein Verhalten in der Kampagne einnahm. Es folgt eine genauere Analyse der Muster in den Tweets, gestützt auf gut ausgewählte medienanalytische Quellen.